We all love our cats, but some cat parents need a little extra tribute for their fur babies. The cat fans in the pictures below love their kitties so much that they’ll go through the pain of having a permanent memorial etched onto their skin. They have some of the best cat tattoos we’ve ever seen! It takes a lot of dedication to get a tattoo like these. However, it’s easy to see the creativity, artistic talent, and love for felines that goes into making them. 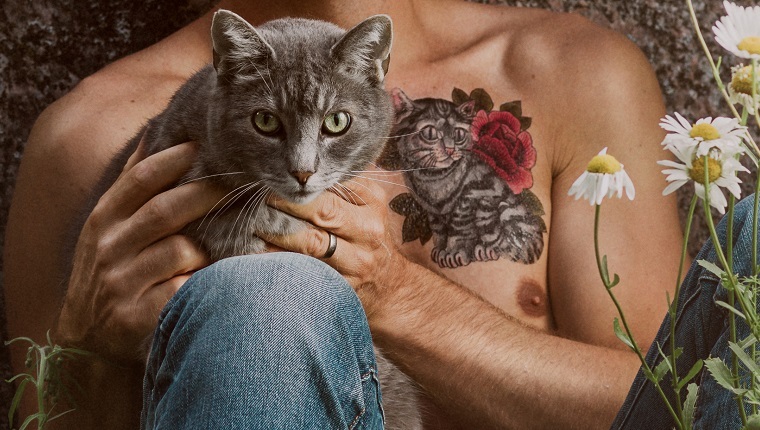 Here are some of the best cat tattoos from kitty parents who need to show their love forever. Tattoo of my cat, Jupiter, done by Carlos Ransom at Abraxas Tattoo Co. located in Lawrence, Kansas. First tattoo. My cat Sirius Black done by Abbie Williams at Lost Time Tattoo, Peterborough, UK. Single + late 20’s + cat tattoo = Almost crazy cat lady? 18th birthday = first tattoo. triforce with shadow of my cat zelda with a z.
I got a tattoo of my cat. A cattoo. 23. Each Cat Is A Work Of Art! Which one was your favorite? Would you get a tattoo of your cat? Let us know in the comments below and post a picture if you have one!